Greetings my little Hipsters! Today I have for you the 156th edition of the Full Metal Hipster podcast. 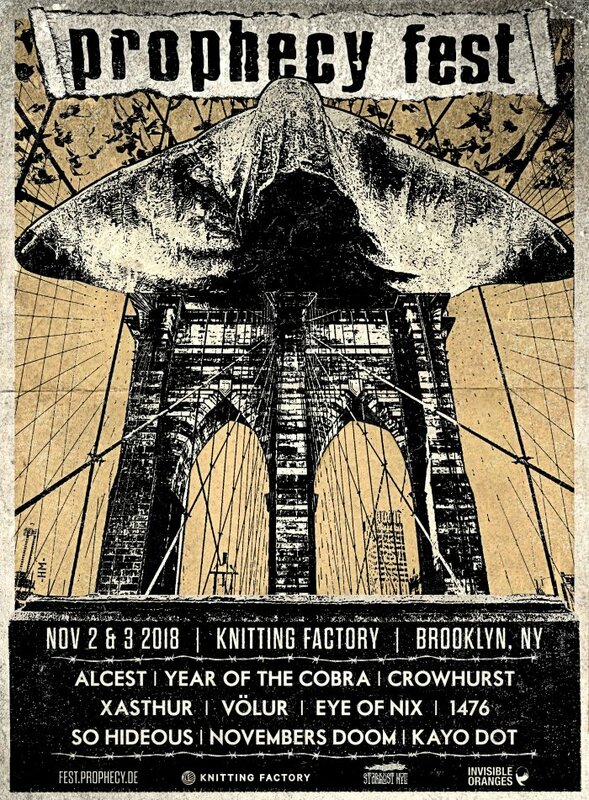 On this special Prophecy Fest US edition you’ll be hearing music from bands that performed at the inaugural Prophecy Fest US including Volur (Facebook), Kayo Dot (Facebook), Novembers Doom (Facebook), 1476 (Facebook), Year of the Cobra (Facebook) and Eye of Nix (Facebook). This episode is stacked with goodness (just like every episode) so get busy listening! Previous Post: Full Metal Hipster #155 – Happy Happy Halloween!